Power your creative process and improve efficiency from concept to development with a range of advanced sketching, modeling, surfacing, and visualisation tools specially tailored for technical surfacing and class-A surfacing modeling. 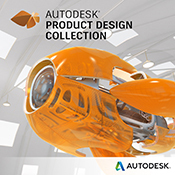 Autodesk Alias Design, part of the Autodesk solution for Digital Prototyping, is 3D design software, purpose-built for industrial designers who control the creative product design process: from the initial concept sketch to the final surfaces that are shared with engineering. Industrial designers can quickly go from compelling visual communications to concept modeling to production-quality models all within a hybrid 2D-to-3D workflow. Alias Design software enables industrial designers and creative professionals to collaborate across the variety of teams within product development, from marketing to engineering with its industry-leading sketching, modeling, and visualisation tools that help create, communicate and drive innovative designs faster than the competition.